I hope you will enjoy my art of music creation with mystical and epic atmospheres from Lithuania. I would like to say big THANK YOU to the people who gave me the possibility to see beautiful and magical places in the world, to get so many good experiences and influences! Some of these tracks were remastered and re-edited by the artist for this release. Special thanks to for the artwork! Mastering by Domas Gudelis with artwork by Dima Passazhirov. MP3 Download | FLAC Download | WAV Download · Download count: 12,704. Released under a Creative Commons license for noncommercial usage. Direct donations for this album via Bandcamp are very welcome. Wow, what a great release!!! Totally would love to see him perform live in a forest Party! 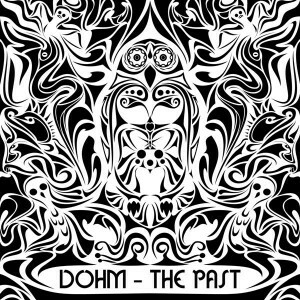 Keep up the awesomeness DoHm!!! FINALY … thank you much ..,… lonely crteaturs … forever in my heart ! Well, I have to admit I liked Swampology more. BOood(–)booOM awesome release Greetings Frm Nepal. Thank you for the beautiful vibes! Hope to hear you live soon. Feel a bit sad that this Yaga ball you are not playing. Keep up the good work and maybe see you soon, maybe even in Latvia..? please..? Then I discovered P. Tale, Schizoid Beard, DoHm… So much happiness in my life with that excellent music! Keep going, hope to see you live one day ! Perfect forest style, really love your music ! I am used to deeper forest from DoHm but this is pretty awesome! When i try to download music on my Apple ipad i keep getting message that Safari cannot download this file……Is this because I’m running on iOS 7.0.4 software….? What is solution? Go android lol? @ kevin u cant download on iphone because ios doesn’t recognize .rar format file….u will have to download it on to a pc. “Tenai” is a superb track – overall, excellent release. DoHm never disappoints. props for moving in this twilight direction. BEST ALBUM !! Deepest Message in Forest psy i have ever heard , its so good ! DoHm you are a Master of Forest :) love forest freaks ! Thank you guys for all these good words ! it means me a lot . Can’t believe I missed this one. Swampology became classic in my library. This one sounds promising. Big thanks.